At Phoenix Fire Consultancy we provide a number of services to keep you, your employees, your tenants, your customers, your patients, your property and your business safe from the effects of fire and the potential legal consequences of not managing fire safety suitably enough. We provide fire risk assessments, fire safety training, fire alarm testing and servicing, fire fighting equipment, fire management packages, fire instructor courses, first aid training and first aid training instructor courses. The corner stone of the Regulatory Reform (fire safety) Order 2005, (RRO 2005), and other fire related parts of other legislation is the fire risk assessment. This would typically be a booklet containing all the relevant information and will also include a fire routines/log book. Fire boxes and wallets may also be part of a working fire risk assessment as would records of any relevant staff training and tests. Fire safety training is required at most premises covered by the RRO and other sites covered by for example the Health and Safety Executive. The level of the training and who needs to be trained is determined during the fire risk assessment. All relevant persons (employers, employees, visitors, guests, clients, patients, tenants etc) must either know what to do in the event of an emergency or the responsible person (owner/s, manager/s, director/s, landlord/s, agent/s etc) must ensure suitable measures or numbers of trained persons who can guide people to safety, who don’t necessarily know what to do and where to go. We can provide fire safety training instructor courses. If you have a large number of employees, this may be more economical for your company. We also provide fire alarm testing and servicing. We can incorporate this into any fire risk assessments and create a bespoke fire management package suitable for your business. 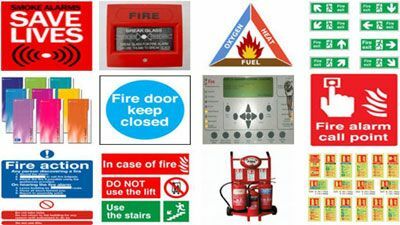 We can also manage any fire fighting equipment and other fire safety measures that your business and/or premises require. We also provide in association with our partner company, Trident Medical, first aid training and other pre-hospital care training. We will training instructors for you if you have a large number of staff. This may be more economical for your business. Please browse through the website for some further information or get in touch if you have any queries.